It's easy to understand why Gogo would curb video streaming given the limited headroom on its current in-flight WiFi service. You don't want to miss important email just because someone in row 29 is watching the latest Epic Rap Battle, after all. However, the company's approach to keeping you off those forbidden sites is raising some major security concerns. Google's Adrienne Porter Felt recently noticed that Gogo is using fake google.com web security certificates to deter people from visiting YouTube. You can bypass any warnings from your browser, but the move theoretically lets Gogo decrypt and monitor your mid-air activity on any secure website, so long as it has the matching credentials. 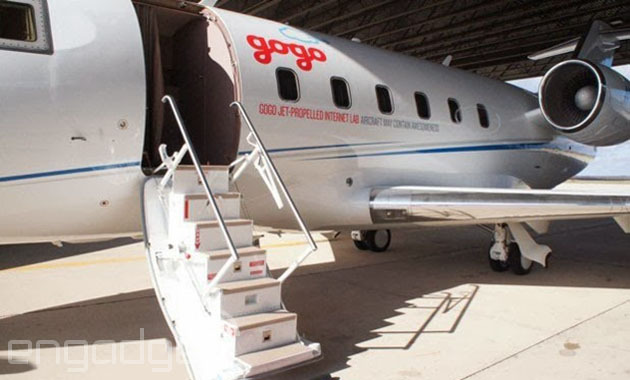 Gogo was quick to respond, and notes that it's only using these certificates to keep data use down and make sure that everyone has a "consistent browsing experience" -- It's not watching you, and your other secure connections should be safe. That's good to hear, but the answer isn't completely reassuring to privacy-minded travelers. So long as the company is handing out bogus certificates like this, there's no way of knowing whether or not Gogo is tracking your activity. The practical threat to your data is low, but you may want to steer clear of YouTube on Gogo-equipped flights until the service is fast enough that these kinds of security tricks wouldn't serve much purpose.